In a bowl combine the garlic, vinegar, soy, mustard and wasabi. Whisk in the sesame and rice bran oil until well emulsified. Add salt and pepper. 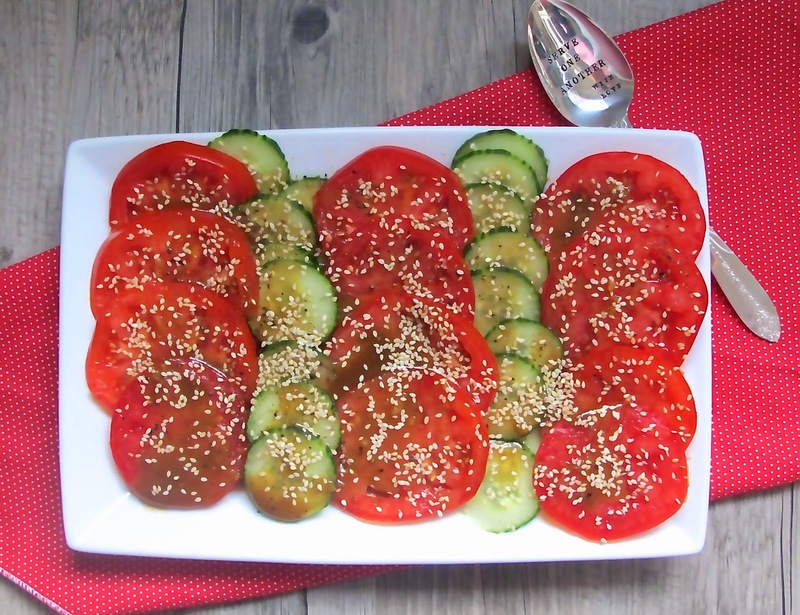 Lay tomatoes and cucumbers on serving platter and drizzle dressing over top.